or I am just being kuripot all over again). 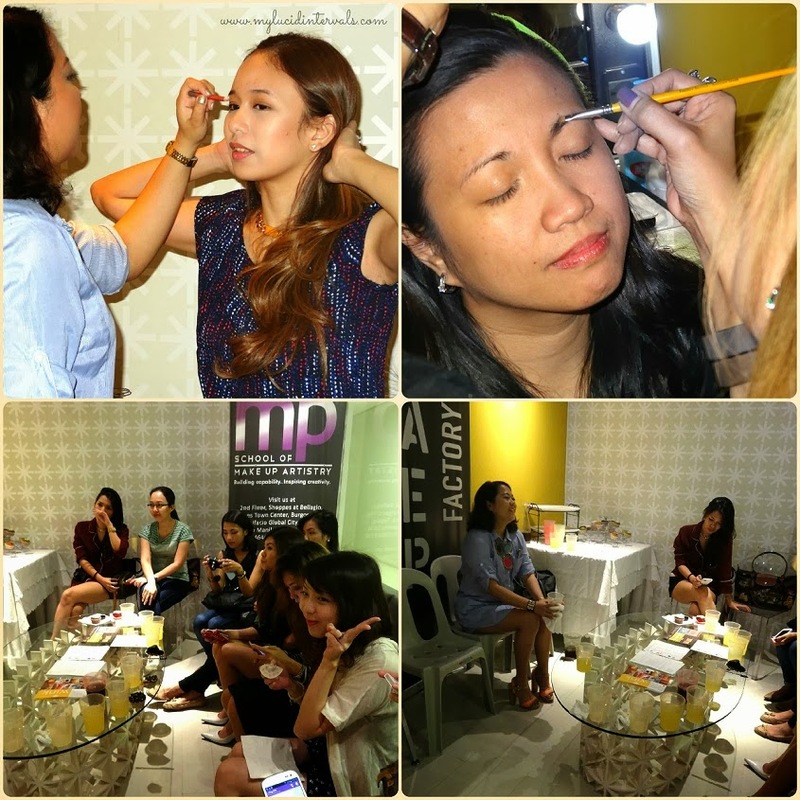 Liz of Projectvanity, invited me weeks ago for a Brow Date Event at Wink Laser and Wax Studio. From the moment I received her mail, I did not touch my brows. haha I intentionally grew my brows for this event. This is my first attempt at brow waxing (for real) and I was extremely excited to try it. Hence, the major pagpapatubo ng kilay! “Fuzzy” is for describing cuddly teddy bears, warm blankets and bunny slippers, not for you! We know it can be difﬁcult to ﬁnd professional hair removal services that won’t cost you your ﬁrstborn, and still get clean sheets and towels. We exist so that whether you need a quick wax for a weekend at the beach or want a more permanent end to your hairy woes, the Wink experience will make you feel immaculate from head to toe. special diode laser machine that won’t leave painful burn marks on your skin as traditional machines do. In fact, the warm sensation feels more like a relaxing hot stone massage! 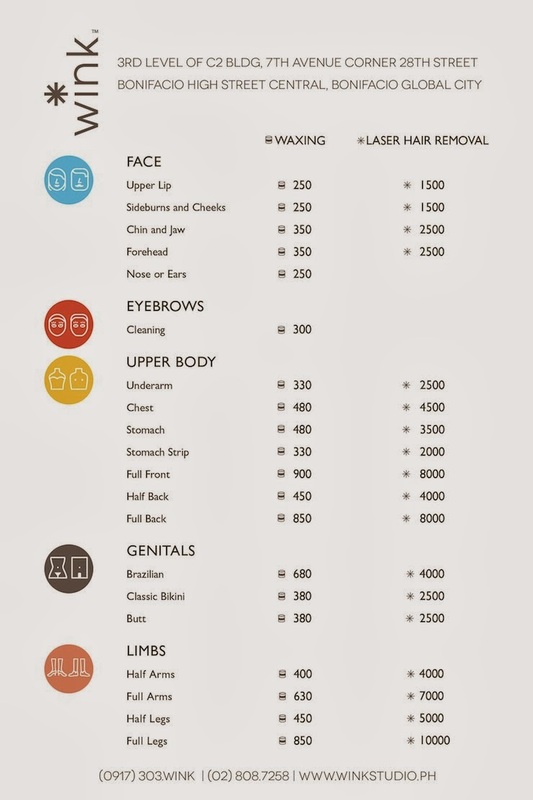 Our Face and Body Waxing sessions won’t involve any clamped-down whimpering either. Our professional waxing system utilizes hard wax for sensitive areas and soft wax for bigger areas. In addition, we apply pre- and post-wax care products to protect your skin. Our policy on hygiene will make germophobes rejoice! At Wink, we never reuse sheets, towels or spatulas, and our technicians always don gloves and a mask. Our guests get their own set of waxing implements, and we sanitize and sterilize like crazy in between each appointment. The colorful, gender-neutral interiors serve as a visual reminder that your comfort is our foremost concern. Spacious suites ensure privacy and are designed to soothe your senses. Your boyfriend won’t have qualms with accompanying you here (we provide complimentary WIFI access!) so book your appointment now! This is the room where the waxing procedure takes place. It is very spacious (I can even do cartwheel on the side.. kidding) and super neat! I am in awe of the cleanliness of the room. Then, I noticed something peculiar when I sat on their bed for the procedure. They have paper bed sheets! Neat freaks, this waxing salon is made specially for you! They do not reuse sheets, towels and spatulas. Thus, rest assured that hygiene is at the top of their priority. Okay, honestly, I freaked out after before the waxing procedure (I felt as if I am in my dentist's clinic!). I never underwent waxing before and I have low tolerance on pain. So, I was clasping my hand together as if my tooth was to be extracted, surprisingly, it was not really painful. The wax not too hot (just warm enough) and the experience was overall very pleasant. I like it way better than threading. :) My skin did not swell too much after the procedure because of the pre- and post-wax care products that were applied on my skin. Kamusta naman naka eye makeup ako ng nagpawax! haha!! Kiber! Picture with Liz (finally!! Until now, I am super shy to talk to her because my fangirl mode is switched on when I am with her) and with Marge of Kikay Trekkie. So nice to talk with you girls after the event and also with Martha (Beauty Junkee). The mini workshop with the bloggers. Thank you Wink and Liz for the wonderful event. Can't wait to try their underarm hair laser removal treatment soon. Ohh, btw, they will be opening in Trinoma soon! Hoooray for this wonderful news. 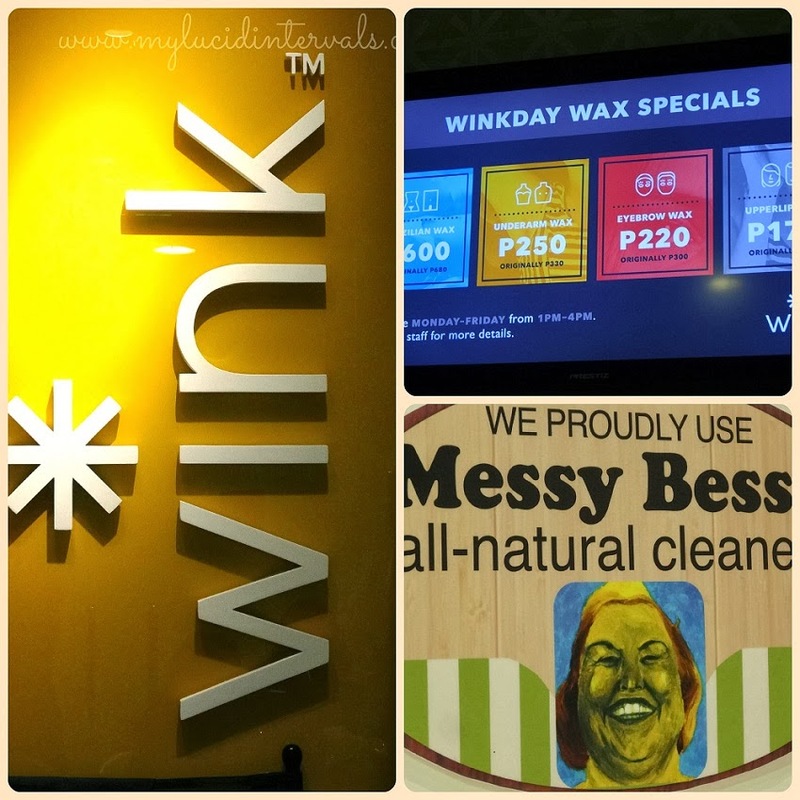 Have you tried the services of Wink Laser and Wax Studio? Hi, i love your earrings! Where did you buy them? hi, have you tried the revlite from wink?